With leaflet you can compute the features bounding box, create a layer group, remove or add as many marker or different layer as you want on a map. Adding vector layers, raster layers, adding wms or wfs layer (can be used to serve and render geoserver or map server layers), selecting and hovering over lat-long are some of the functionality which can be easily grabbed by leaflet js map library. Leaflet map library can be used in different platform like web app, mobile app or can be used in creating desktop application. Also this small Map library so called as leafletjs is one of the easy to use and well documented library which is widely used by many GIS developers all over the world. 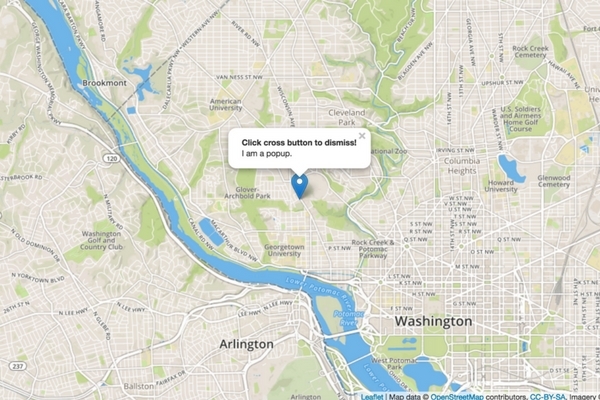 Upon leaflet many developers have created different plugins which adds on the functionality to create an interactive map. Most of the plugins are available for free and can be used or recoded and integrated in your application. I found and used many plugins when required to do my clients work, as it save lots of time to do the same piece of work. Firstly you need to setup a Local Server. You can easily install and find either wamp or xammp server or any http server. Once installed or setup, we will first create a project folder in root www or public directory. Thereafter we will get started by creating one html file which we will use to code in leaflet js map example. This division will render and display the map with the help of leaflet library. Lets initialize the map by adding a tile base map layer or either openstreetmap or mapbox or any other map provider tiles. var newMap = L.map(‘map’).setView([38.9188702,-77.0708398], 13); //initiating the view providing the latitude and longitude with zoom layer as 13. Above code will render openstreetmap tile layer. Proper attributes to the contributors can be easily added, which will be displayed at the bottom right corner of map screen in a descent way. Geojson or topojson are two of the most common files which can be easily added as vector layer map with the help of leaflet. Interactive Choropleth map is the best example which you can imagine to create in few hours or minutes of code with this library map. Next you can check for loading GeoJSON file on Map with Leaflet Library. In simple words you can take leaflet js as a library which will helps you to display and render your vector or raster layer data over browser or client side with some events handling over it. Unlike Google map library it does not provide geocoding or direction api or a basemap layer, but if you have geographical data or GIS data set, then with the help of provided data, your algorithm and leaflet library you can create and display the map as you want. 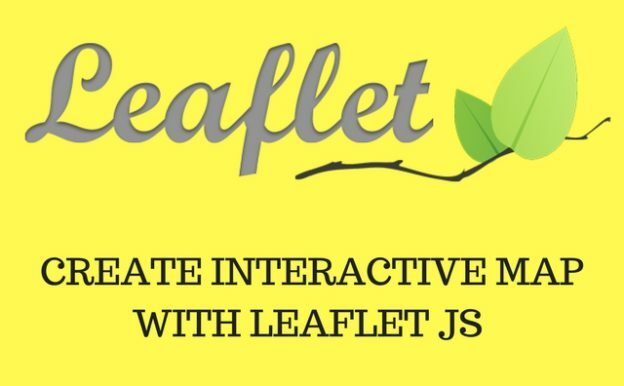 I hope this tutorial of getting started with leaflet would helped you to kick start with leaflet js library. Do subscribe to our blog, to get all latest updates, tutorials and news of map and GIS. Your comments are welcome either as question, comment or suggestion.